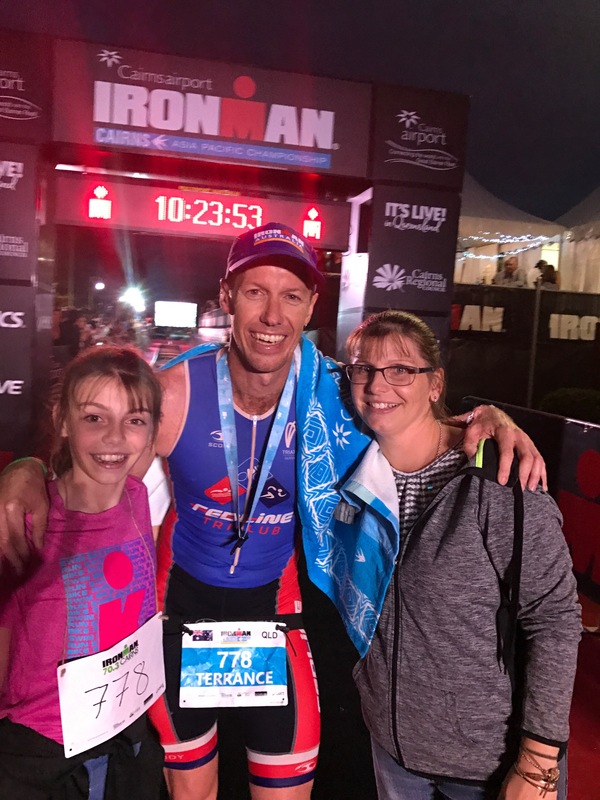 Ironman Cairns 2017 – Race Review! – SO, YOU WANT TO BE AN IRONMAN? It is done, Ironman number 4, where I returned to the scene of my very first Ironman some two years earlier in Cairns. Your first time completing an ironman is always a memorable one and I hold very fond memories of Cairns 2015, banking an amazing 11:16:26 first time ironman was memorable. This year was no different and Cairns lived up to the hype and golden memories I have from that first time! Cairns Ironman 2017 – Official Results – So that is a personal best, clocking nearly 58 minutes quicker than Cairns Ironman 2015 and a solid 20 minutes quicker than my previous best Ironman time in Port Macquarie 2016. Now lets get into how that all happened! The alarm was set for 4:00am, up early and straight in for a quick shower and number tattoo application. I struggled to sort out my usual eggy bread breakfast the day before, but had a brain wave while in the shower. I dipped my bread in a beaten egg then nuked it in the microwave for 1 minute! Hey presto eggy bread! Honey & banana to top and I was already sucking down my first bottle of Endura for the day! I was hoping to arrive in Palm Cove about 5am, right when transition opened. As with all things, I was running behind schedule and didn’t arrive till about 5:15, but a short stroll from the car park to the transition area and I had arrive in plenty of time. Setting up the bike is always a challenge, it’s different to normal triathlon, as some of my gear is in a bag waiting at the tent and my run gear is in Cairns. So all I really have to do at the bike is set up my nutrition, bottles, food, pump up the tires and make sure I clip the shoes into the correct peddles! Really only 5 minutes work, but I like to arrive with nearly 1/2 hours spare to get this done! I stroll over a bridge set up in transition tot he back of the tent to walk to my bike, just to double-check I know where I’m going. It’s a process I’ve always done, it’s about being methodical, disciplined and consistent in my approach. To date I have never lost any time in transition with a lost bike! I ran into a mate Dave from Sharks Tri Club (another local club I occasional train with) and we were both heading out of transition toward the swim start. We began suiting up in our wetsuit’s and were waiting casually at the swim exit as the 70.3 athletes started arriving, we waited to see Andrea (a superstar tri-mum & mate) also from the Sharkies exit and head to her bike with a massive cheer and smile. Now it was out turn, zipped up and velcro’ed into the wetsuit, we headed down onto the beach with a final kiss from Mel, Ella and a massive good luck from Maurice & Robynne! I headed straight out into the water, just to get a quick feel for the temperature. It was nice, fresh but not cold and definitely not as rough as I was expecting (a lot calmer than New Zealand)! I made my way to Zone 1 under the hour and patently waited, while Pete Murray introduced the professional field and set them on their way! 10 minutes later the age group rolling start commenced! I entered the water in a single file line, looking along the thin line of athletes already making their way around the first buoy. I had my line and the day had started! There were sixteen buoys to mark the path, using the orange ones as sighting and keeping the pink on my left shoulder. Heading south you could definitely feel the chop and current slowing and making it hard. I made it to the third pink buoy without incident and had a sneaky look at my watch, 31 minutes. A little disappointed, but not alarmed, I put my head down and focused on long and strong stroke. Heading north and it was a lot easier, breathing on both sides without and chop issues in the face! By this time the mouth was very salty and I was begging for the 15th & final pink buoy to hurry up! Finally it arrive and I turned for shore, I found myself looking back for a wave (hilarious for those that know Palm Cove), it didn’t come and I had to swim all the way to the shore, hands touching the sand as I stood up! As I ran under the arch I stopped my watch at exactly 1:00, goal 1 almost achieved. I strode up the beach and under the hoses, hearing my Mum & Dad yelling from my right and my wife and daughter from the left. Waving I headed into the tent. I spotted another mate Kevin (from America / Alice Springs & fellow blogger, follow him here), I bee lined it straight to a chair opposite. A quick hello and good luck and he was gone! There was a distinct lack of volunteers in here and I found myself removing my wetsuit all alone! As I put my socks on a volunteer was yelling to just leave my stuff on top of my bag and they would pack it up. Now for a first timer this wouldn’t seem as all unusual, but this is my 4th Ironman and the first time I have not had a super amazing volunteer all to myself helping me get ready for the bike leg. Not a big let down but just a little unusual. I gave the volunteers that were there a shout and headed to my bike! Mel & Ella were on the other side of the fence waiting for me! It is such a great lift having supporters cheering you on through transition and on course! Heading out onto the bike course, there was a bit of congestion at the mount line! People all over the place, so I took my time and ran an extra 10 maybe 20m up the road before jumping onto my trusty mare. As I reached down to put my left foot in, BANG, instant hip cramp. Awwww, that’s not going to work, so foot back on the pedal, a couple more spins and let’s try the right side. Success, another couple of spins past Kevin who was struggling with his shoe (he left ages before me, hope its nothing too serious)! Lets try the left foot again, success this time and straight around the first bend toward the highway. All strapped in for the next 180km! I round the first 3 corners and got straight into my comfortable aero position and rode up to my target power numbers of around 190-210 watts. I’ve gotta admit, a lot of people were passing me and passing me fast! It takes a lot of discipline and concentration to let them all go and not push beyond my numbers. Most of the ride is very uneventful, just battling my own head, trying to stick to the numbers, blowing up at athletes openly & deliberately drafting (with absolutely no sign of any TA officials, all I saw was photographers on motorbikes) with absolutely no reason to do so, the course was not crowded, it was not (that) windy, so race legal and earn the title of ‘I AM AN IRONMAN’ on your own as it was intended! Enough whining, during the bike I consumed, 2 parts of a banana, a winners sea salt & choc bar, a packet of winners chews, 4 winners gels and 5 bottles of Endura (approximately 3.5 liters). The first lap absolutely flew by and to be honest it felt easy. The 2nd lap is where the fun starts, the body get uncomfortable and things start to ache. My neck and ankle were the worst this time, I popped a couple of Panadol at about 150km (1 hour to go on the bike) to try to manage the pain, which didn’t help much. The 30km from Palm Cove seemed to take forever, the head wind was at its worse and I was suffering now! I counted every kilometer, 1 down 29 to go, 2 down 28 to go, 3 down 27 to go…. you get the idea, it was a long hard slog to Cairns. You can see on my data that the power numbers & heart rate drop off pretty badly through this section, but I was focused on running the marathon well, so was accepting of these declining numbers and just wanted the bike to end! I ended the bike in my best ever Ironman 180km bike split of 5 hours and 15 minutes. Fogarty Park was a welcome sight, passing my family (out near the hospital) and the club tents was a huge lift, however the relief was short-lived and I hoped off my bike, the pain in my ankle was very real and very sharp. I hobbled into transition, found my bag and was welcomed by some super excited happy volunteers! I changed my socks, hat on, number belt on, some sun cream on my shoulder and face and headed to the pota-loo (good signs, I must have hydrated well)! Amazingly as I ran out of transition I noticed my foot had almost miraculously been healed, almost no pain! My physio & podiatrist later informed that I had an impingement on a ligament from the flat (non supportive cycle shoes), that I shouldn’t feel in running shoes, because of the support and heel to toe fall! Anyway, pain-free I started the run feeling amazing, a massive shout out to Andrea (who came 2nd in her age group in the 70.3 earlier) who was waiting at the exit of T2, love seeing familiar faces in the crowd. I started the run with a 4 minute 44 sec kilometer and it was easy! I decided not to back off too much and see how long I could hold this all together. Through the first 5km in 24:42 and feeling great. I then hit 10 km in 50:45, slowing a little, but I wasn’t feeling too bad at this stage. I knew hydration & nutrition were going to be the key for me, so I started walking through every aid station (about every 2km), grabbing endura & ice. The ice helped keep my core temperature down, i popped it inside my tri-suit and slid it down onto the front hip/groin area, where the main arteries flow to have maximum benefit! It wasn’t hot by any means, but I know I run better if I can keep myself cool. So this became the ritual at every aid station. It seemed to work as I ran through 21 in 1:51:41, which I consider a pretty respectable time! From here the mental battles begin, all my splits start drifting out toward 6 min/km. Out toward the airport & hospital it was such a rush and huge lift seeing my family (mum, dad, wife & eldest daughter) supporting me through massive cheers and even a little jog beside me for a few meters! It is definitely one of the highlights of my day. Running through the club tents and seeing Eamonn & Emily (& the Tri-Nation crew) supporting was also another great point on the course. They were quickly followed by the (in)famous Rattle & Hum crowd, who I had to work hard to get a cheer from, obviously they were a little distracted by beverages & food. The struggle was real from 25km on & I had to focus on my form and technique to occupy the mind and distract it from the pain in my legs, trying to stay tall and hips forward. Looking back at the photos I failed and my technique fell apart pretty badly, but I got it done, finishing the marathon in 3 hours and 51 minutes. The finish line of every Ironman is a very special place, one that words just cant do it justice. I rounded the last bend waving ecstatically at the official my right hand with 3 lap bands and had the entire chute to myself! I gave high 5’s and smiled so big I think the space station could see it! I could see my super excited daughter jumping around like a jumping bean and my amazing wife’s smile behind the finish line. 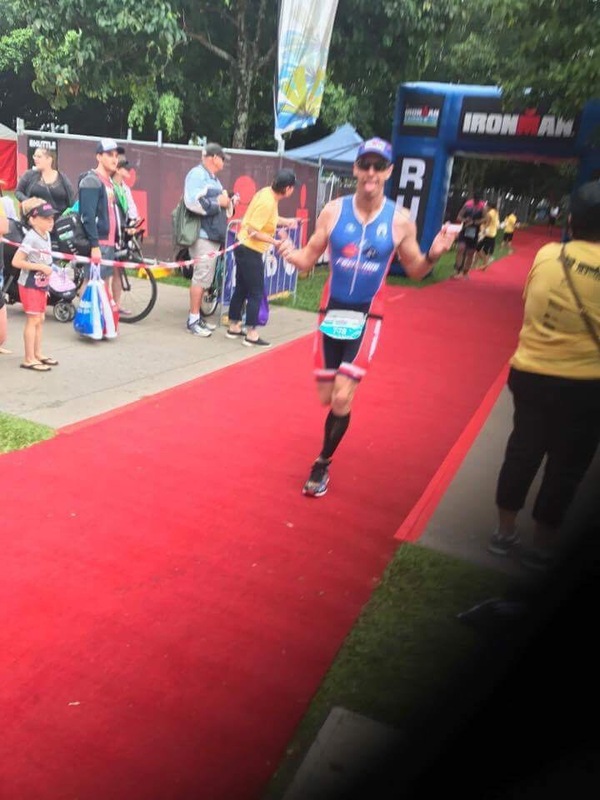 I held up 4 fingers proudly on display for each Ironman I have finished and had 4 on my heart for my amazing family, as I heard those famous works “Terrance YOU ARE AN IRONMAN”! Crossing the line in 10 hours and 18 minutes was the reward I wanted for all the hard work that had been put into this journey. It was a just reward for the sacrifice myself and my family had made. We hugged at the finish line, even got some great photos, thanks to Pete Murray and headed around into recovery! Ironman Cairns 2017 was an epic day and I got to share the finish with the most amazing woman in the world, Mel, you are my rock and I am incomplete without you, thank you for making this possible! So that is a personal best, clocking nearly 58 minutes quicker that Cairns Ironman 2015 and a solid 20 minutes quicker than my previous best Ironman time in Port Macquarie 2016. I have had a few days to reflect back now, so I took some time to read my review of Cairns Ironman 2015 race review blog. I throughly enjoying the tips & hints, which all still ring true even after 4 of these crazy endurance events and amazing experiences. Prepare for the high & lows during the race (cause they will come)! Be mentally tough, your body can do more than your mind will tell you! Stick to your nutrition plan, it will save you! Hydrate as frequently as possible. Never trust a fart in an Ironman! Stairs will not be your friend for at least 48 hours after the finish! Thank as many volunteers as possible, they deserve it! Have a goal post Ironman as you will wonder, what next? So that’s a very comprehensive review of my race, thanks for reading! I’ll write another blog soon about my other Cairns experiences as they need to be documented, it was a great weekend! I now have a small amount of time off, before launching into a half Ironman program for Sunny Coast 70.3 at Mooloolaba and then straight into my final Ironman for 2017 in Busselton in December! There is the plan and as above my post ironman goal, so stay tuned and come along for the ride! Previous postIronman Cairns – Race Preview! Next post2017 Half Way Review! Congratulations Terrance. I enjoyed reading your report. I could relate to so much of it. I did the race and was in fact number 777! I found the water the choppiest I’ve raced in. Yep, I agree no help with wetsuit removal though the volunteers through out the day were brilliant. Cycle was undulating and the last 70k back to Cairns in the head wind were hell. Mucked me up for my best leg normally-the run which I suffered badly on in the second half and had to resort to a walk/run strategy. I agree regarding the drafting and didn’t see anyone pulled up for it but my wife said she saw someone. I don’t understand it myself. You do all that training for months and basically cheat on the day. Saying that I don’t think it was stressed here as much as it has when I’ve done other races. You didn’t even have to attend the race briefing if you didn’t want to. I also attended a transition tour/talk with the guy that was doing the commentary in Port Douglas and it was very entertaining. I also agree with your comments on support from family and friends and all your hints/ tips though my post race goal was just to go diving on the Great Barrier Reef. I finished in 12.54 which was 1 hour 19 min behind my PB. Disappointed with my time but not my effort and you can’t take away that finishing chute feeling. Good luck at Busselton(that was where my PB is from). Awesome Simon, glad you can relate! Did we talk on race morning? Maybe I borrowed your pump? I am looking forward to Busselton, I’m hoping to set a solid PB there, that’s why I left it to the last Ironman on the oceania circuit to complete 😉 Fastest last! Hope our paths cross again at another event! Pingback: 2017 Half Way Review! – SO, YOU WANT TO BE AN IRONMAN? 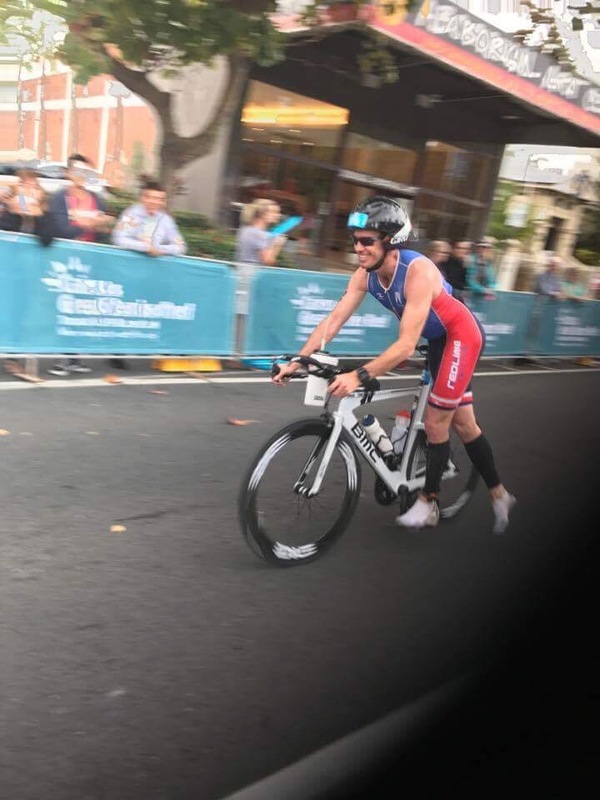 Pingback: 2018 Cairns 70.3 Ironman – Race Preview – SO, YOU WANT TO BE AN IRONMAN?